Two ‘rookie’ seniors will be among several ‘big guns’ who will bring plenty of interest to this month’s $100,000 Lincoln Place NSW Senior Open. Sydney’s Peter Lonard and former Kiwi Michael Long, now based in Western Australia, will be among a strong field assembled for this event when it tees off for three rounds at Thurgoona Country Club, Albury from October 26 to 28. Lonard has long been ranked among the best players from the Premier State and his record is hard to beat as it includes an incredible 12 tournament wins including the NSW Open (2004), two Australian Masters titles (1997, 2002), three Australian PGA Championships (2002, 2004 and 2007), and back-to-back Australian Opens (2003 and 2004). A two-time President’s Cup pick, Lonard snared the biggest win of his career in 2005, taking out the US PGA Tour’s MCI Heritage Classic at Harbour Town Golf Links in 2005. Also playing at Thurgoona will be two-time Australian Open Champion, Peter Fowler along with another ‘debut’ senior in Michael Long. Fowler has impressed on the European Senior Tour this year and as this edition was completed was sitting in fifth place on their money list. Now 59, Fowler has been playing some of his best golf in recent years and scored a win in the Willow Senior Golf Classic in Europe in August. Long will also bring a new competitiveness to the Tour after turning 50 just a few weeks ago. He has represented New Zealand multiple times and is a two-time winner on the Web.com tour. He competed on the US PGA Tour from 2002 until 2005. 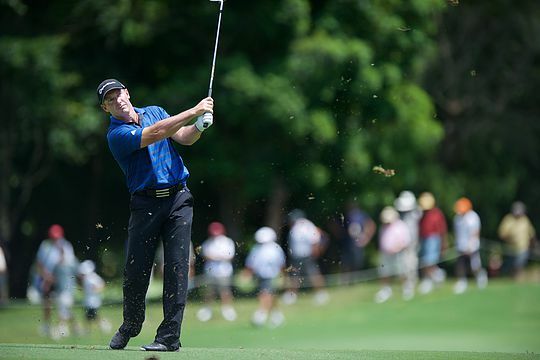 In a sign of how competitive Long remains, his last win on the ISPS Handa PGA Tour of Australasia came earlier this year at the WA PGA against a field of much younger players.